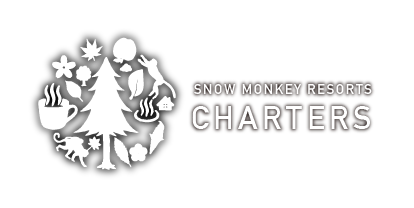 If you want to make your way straight to the snow monkey area from central Tokyo, one of Japan’s major airports, famous cities like Takayama and Shirakawa-go (or vice-versa), we have the perfect service for you. 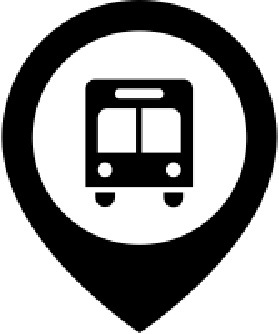 Our buses can pick you up at the location of your choice and drive you to your location in the snow monkey area. See below for details such as distance, price, and duration between your location and the Snow Monkey Resorts. ・The above fees are sample indication for operating service during day time. The fee may increase if the charter service is to be provided during night time. ・Highway toll fees are included in the above price. ・Toilet breaks will be held once in every 2 hours during the operation. ・Destinations can go either way ; i.e. 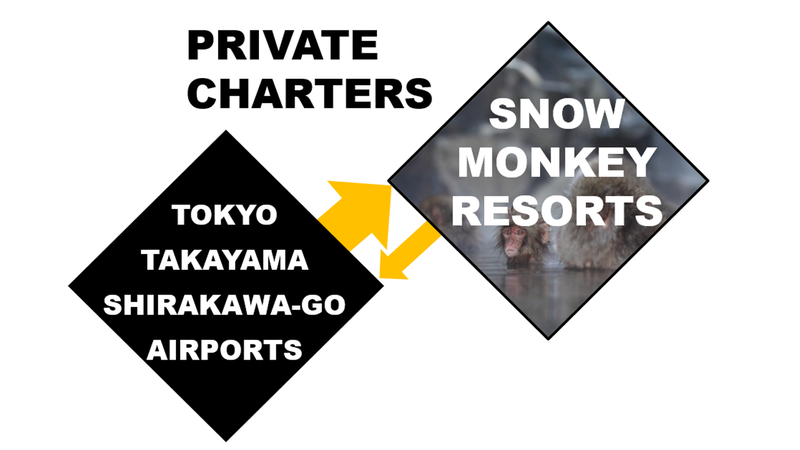 from Narita Airport to Snow Monkey Area OR from Snow Monkey Area to Narita. ・In the case of booking charter service from airports, please give us in the booking form your flight details such as flight number, airline company, and arrival time. ・For airport transfer, pick-up place is at the arrival lobby of airport. For further specific point of each airports, we will inform you upon booking.